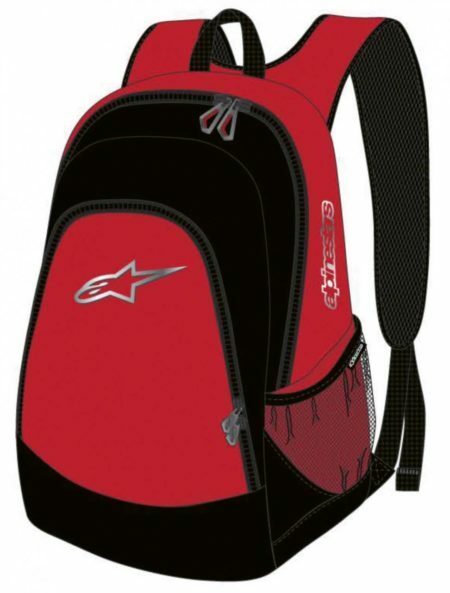 Compact Alpinestars backpack in red polyester with black contrasting inserts. Additional zipped compartments and lateral net outer compartments provide plenty of storage space. Dimensions: approx. 35 x 18 x 46 cm.